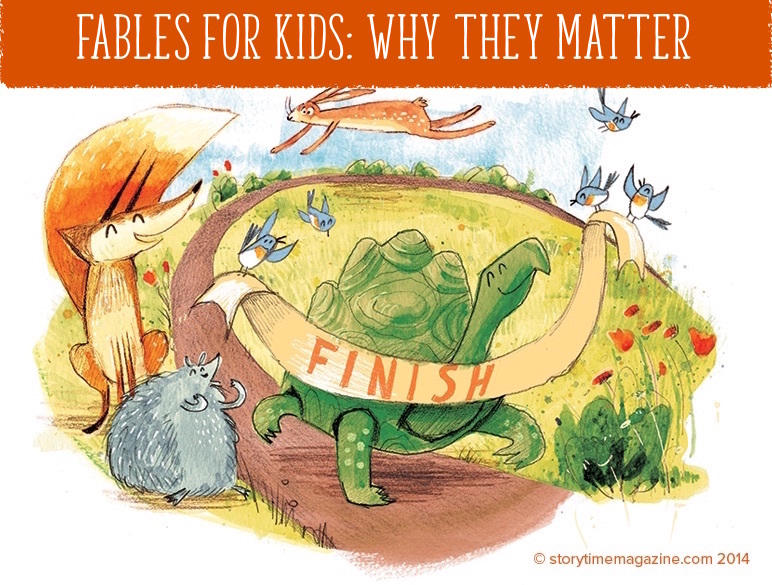 How do you feel about fables for kids? I didn’t really like them as a child. I found them preachy and old-fashioned. Hearing or reading a fable felt a bit like being lectured. To be fair though, I was mostly subjected to Aesop’s original fables and, let’s face it, they haven’t aged well. There’s a whiff of the puritanical Victorian headmaster about them. The Country Mouse and the City Mouse by Patricia and Richard Scarry. However, there were a few exceptions to my anti-fable stance and most notable were Patricia and Richard Scarry’s versions of The Country Mouse and the City Mouse, The Fox and the Crow and The Dog and His Bone. I loved them and that was largely due to Scarry’s warm and wonderful illustrations. 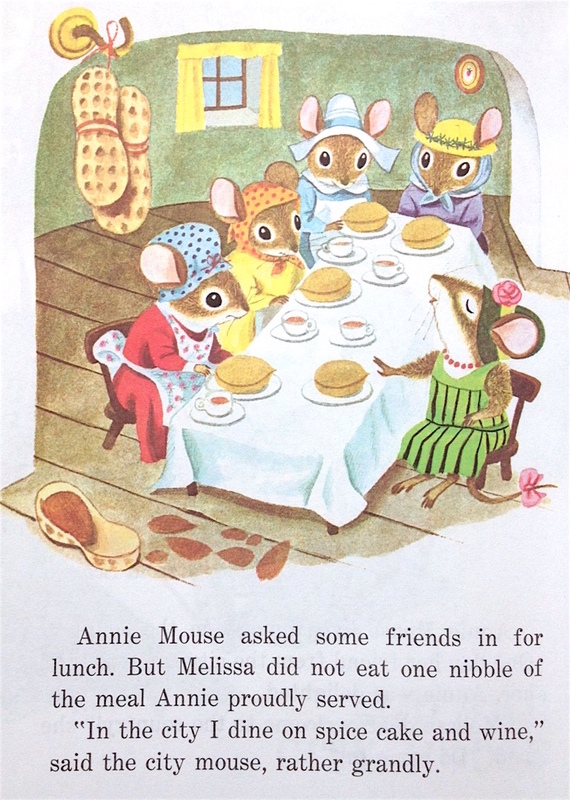 These expertly illustrated versions always stayed with me and, in fact, convinced me that I should put my personal prejudices aside and include fables for kids in Storytime. Thanks to the Scarrys, I felt confident that we could take the time-worn genre that is the fable, and brush it off, spruce it up and give it a new lease of life. With the help of super-powered illustrations, of course. Two years later and Famous Fables is often one of our favourite sections in Storytime. Personally, I love researching them and working on them and it’s not just because that makes me a fabulist (best job title ever). As a team, we are constantly surprised by what our talented illustrators bring to these stories (see below for Oscar Julve’s fantastic interpretation of a know-it-all fox). We’ve also witnessed first-hand the benefits of reading fables to kids and the conversations they can inspire. So, to any doubters out there, here’s why you shouldn’t be an old cynic like I was and why fables for kids are important. 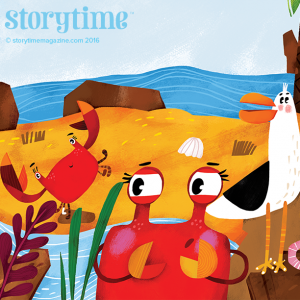 The Tortoise and the Geese, Storytime Issue 10. Art by Tel Coelho. There’s much more to the world of fables than Aesop. He’s just the fella who we tend to obsess over in the West (and he probably didn’t even exist). 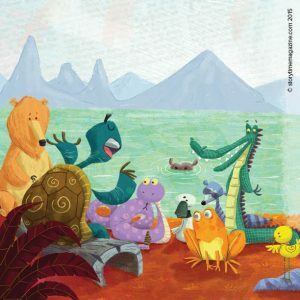 In Storytime, we’ve also featured fables from Buddhism, West Africa and an Indian collection called Panchatantra and we’re always investigating new sources, so they’re a great introduction to different cultures and diverse beliefs. Perfecting for nurturing little global citizens! Fables usually feature animals and kids LOVE stories with animals. Why? Because animals in stories are free to be foolish, funny, boastful, naughty, kind, selfish and wild – and children can observe this and enjoy it all from a comfortable distance. Depict the same characters as children and, suddenly, the comparisons between the reader and the subject are much more obvious, and that doesn’t make for such a relaxed read. This is one of the smartest things about fables for kids. Fables are short and sweet, and neat and easy to read. Most take no more than a few minutes to share. They’re quick to the punchline and, in time-pressured times, this is a gift. The Crab Walk, Storytime Issue 24. Art by Zhanna Mendel. Fables give you excellent food for thought – just steer clear of the dull Aesop originals and stick to modern versions (like in Storytime). With a neat little message contained in every single story, they’re a friendly and often funny introduction to discussing morals with children – and a good accompaniment to PSHE at school. Or you can ignore the lesson entirely and just enjoy the stories. After all, it’s your right as a reader. In Storytime, at least, they come with rich, colourful, amusing, action-packed illustrations that bring the fables to life like no gloomy-looking Aesop paragraph ever could! Thanks to the strong images, they’re stories that stay with you and give you learning by stealth. As you can see, I’m a convert to fables for kids (and adults too). However, I’d be interested to know whether you feel the same. We hope we’ve succeeded in breathing life into a tired genre and also hope you’re enjoying the illustrations as much as we are. It would be amazing if we could have the Scarry-effect on even one reader. Have a fabulist week.